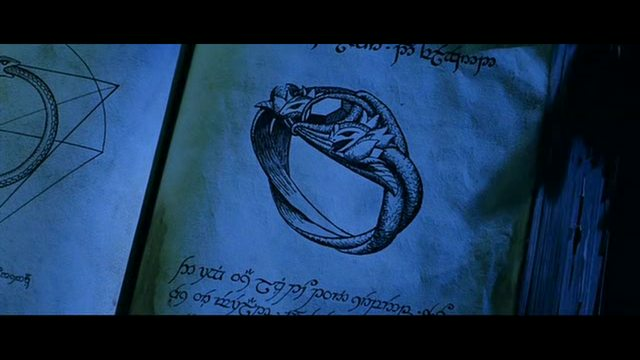 we see what appears to be some passages taken from the Silmarillion inserted into the movie to describe the "Ring of Barahir". 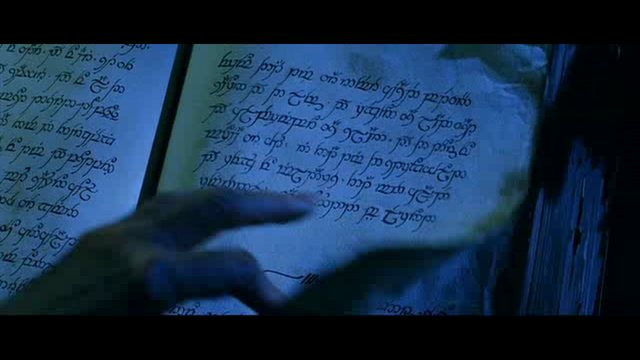 First pic is an excerpt from "Of The Rings Of Power & The Third Age"
and the doors of Moria were shut. In that time the stronghold and refuge of Imladris, that Men called Rivendell, was founded by Elrond..."
"The ring was like to twin serpents whose eyes were emeralds..."